Charles Cameron Kingston was a 26 year old lawyer and footballer when he led a playing group to form the South Adelaide Football Club in 1876. Thereafter, his ongoing connection with the club for many decades was prodigous. He was elected as the club's secretary and continued to play football for the first two seasons. 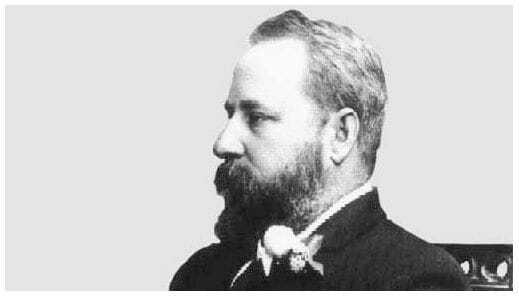 He served as association delegate, club chairman and was president of South Adelaide for 30 years until his death in 1908. He was the club's first life member. Kingston was present at the meeting held to establish the South Australian Football Association in 1877. At that time, there were several football clubs conducting an informal competition using a variety of rules. Kingston established a committee "to confer with the various Football Clubs to find their ideas about the role of the proposed Association and the rules they want to play by." Kingston's insistence that a player should not be able to run with the ball without bouncing it led to the Melbourne rules being adopted otherwise football may ultimately have evolved into rugby in this State. South Adelaide Football Club won the first ever South Australian Premiership in 1877 with Kingston being a playing member of this team. Kingston's career as a Lawyer, Politician and Statesman was equally significant. He was elected to State Parliament in 1881 aged 30 years, served as Attorney General and became Queens Counsel in 1889. He became Premier of South Australia in 1893 and was appointed a Privy Councillor in 1897. He was Chairman of the Federal Convention held during 1897-98. He travelled to London in 1900 with Colonial Premiers Deakin and Barton to oversee the passage of the Commonwealth of Australia Bill through the Imperial Parliament. Widely tipped to be the first Prime Minister of Australia, he was instead appointed as the first Federal Minister of Trade. The Federal seat of Kingston is named in his honour. 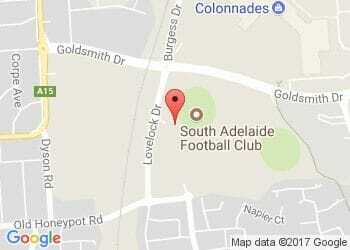 South Adelaide Football Club has had a Vice Presidents Group for many years. In 2001, to mark the 125th anniversary of the establishment of the Club, the Vice Presidents group was renamed The Kingstonians in honor of C C Kingston. The reference to the Kingstonians being a "Premier" group is a dual reference to Charles Kingston having held office as Premier of South Australia and to South Adelaide being the first ever Premiership winner. Former Premiers the Hon. Dean Brown AO and the Hon. Mike Rann are both well known South Adelaide supporters who actively promote the Kingstonians. Local members Gay Thompson MP, John Hill MP, Leon Bignell MP and Amanda Rishworth MHR are all members of the Kingstonians continuing the political association with South Adelaide which started with C C Kingston. The Kingstonians exists to support the South Adelaide Football Club in ways outside the football department, sponsorship or marketing. Honorary Kingstonian membership is available to those who have served the club as players, officials and administrators. Full Kingstonian membership is available to those who wish to contribute financially and to provide business support and networking to assist the current crop of South Adelaide players and the broader football community. For information about joining the Kingstonians contact the Club on 8186 8200.